Novasys Group presents the Silver Line radiometers from CON-TROL-CURE designed to measure UV intensity in a user-friendly and economical way. 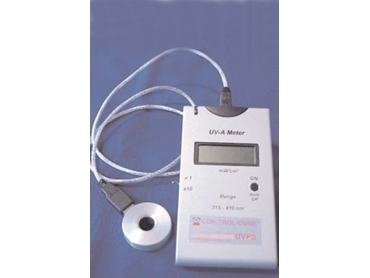 Silver Line radiometers are rugged, probe-style UV measurement devices featuring two resolution settings. The x1 setting displays UV intensities from 0 to 19.99 mW/cm² while the x10 setting displays from 0 to 199.90 mW/cm².